I know there is a lot of Kähler fans (incuded me) out there, and I guess you are wondering what their news this upcoming season are? 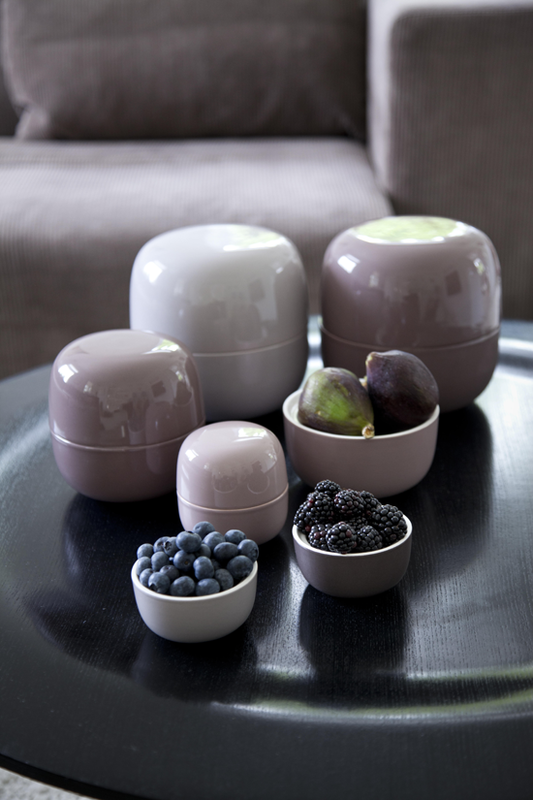 Let´s have a look at some of them..
Aren´t these storage jars called Bellino just lovely? Their shades of purple, grey and brown will match this season perfectly! Should be nice to use both in the kitchen, bathroom, and in the office. Kähler have noticed the botanical trend and are introducing a new Botanica flowerpots line this season so we can take gardening inside. New colors and new shapes. In collaboration with Their Lorentzen, Kähler now launches its very first ceramic lamp. We will see a lot of ceramic in the time to come, so perfect timing I must say. The Mella lamp will be available in violet, green and blue. What do you think? The popular Omaggio vase will this fall also be available in a new size. Looks like a very convenient size I think. Are you still up for stripes this fall? I think I have enough already, but I will never say never.. *smile* . 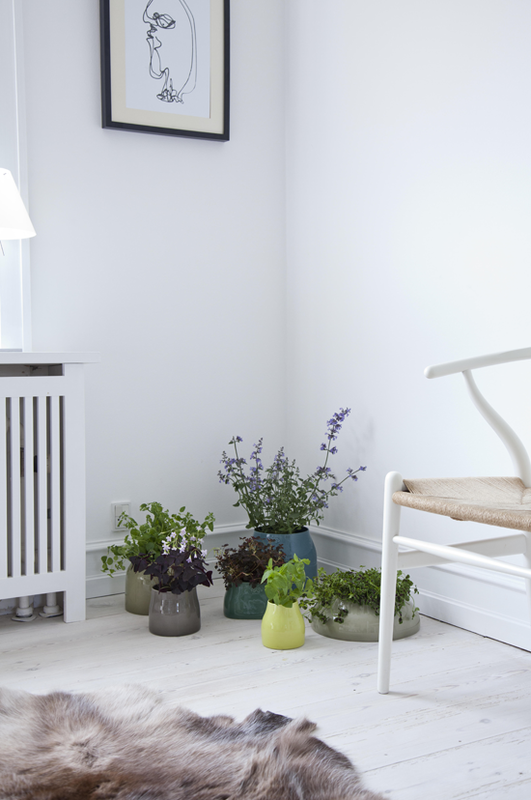 You can see more of their new collection on Kähler´s website. Bare digger fargene på det første bildet. LOve ,LoVe the colours on the first picture. 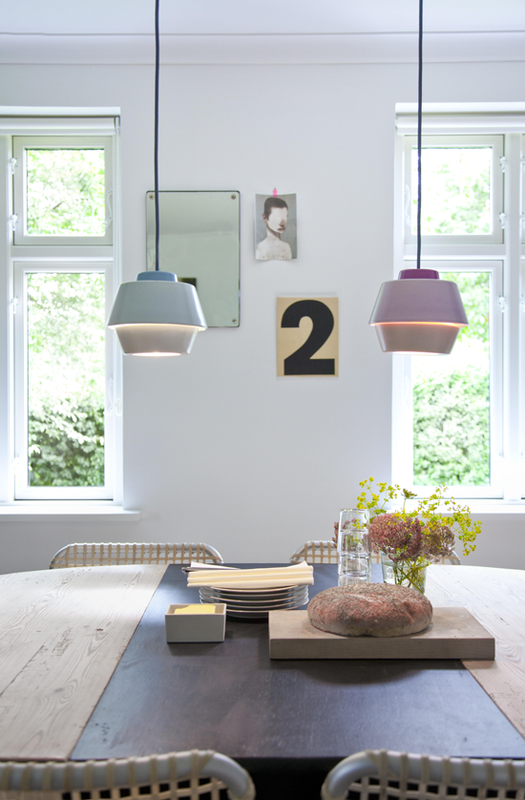 Wonderful new collection… love the lamps! 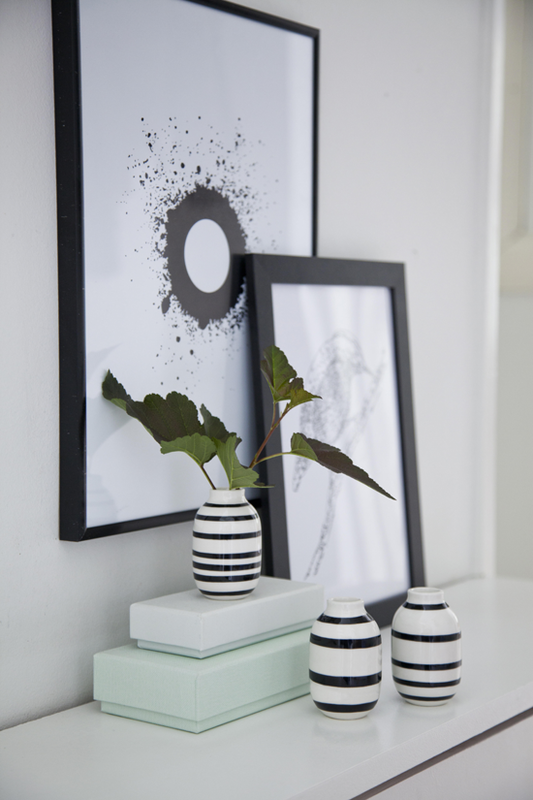 i llove these black/white striped vases, they are so lovely! Herlige bildet! Stilrent og innbydende, I Like!! Hei! Hvor er det fantastiske sort/hvitt bilde med den hvite sirkelen i midten fra? Det vet jeg dessverre ikke. Dette er pressebilder som tilhører Kähler. A little out of context, I guess, but would you happen to know the name of the artist who painted de dot on the last pic? Thanks! I´m sorry, but I don´t.